Having a free product tier is a time-proven way for startups to get a foot in the door by giving potential customers a low-risk way of evaluating your product. However, there are times when it’s easier and much more profitable to simply make the sale. Yu Taniguchi s CEO of Vesper and creator of TableSolution.TableSolution is a SaaS product similar to OpenTable. It helps restaurant owners manage their reservations and better understand their customers. You might not have heard of them yet, but you will. Today they have thousands of paying customers including some of the world’s largest hotel chains, they are profitable, and they are expanding globally. 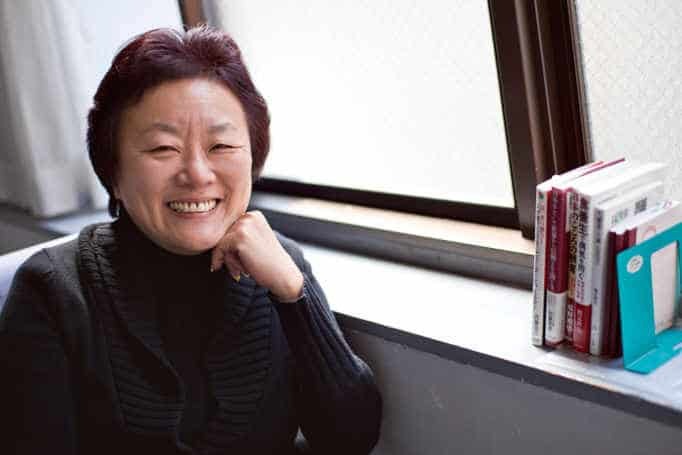 Yu and I talk aboutTableSolution’s business model, of course, but you Yu also has some great advice and some counterintuitive insights about selling to mid-sized companies, expanding into new verticals and recruiting great staff. It’s a fascinating discussion, and I think you’ll enjoy it. Is it more profitable to go deep or to go wide? Welcome to Disrupting Japan, straight talk from Japan’s most successful entrepreneurs. I’m Tim Romero and thanks for listening. Startup investing follows trends and following these trends is an easy way to raise money. Two years ago in Tokyo, everyone was starting food delivery businesses. A year ago, it was AI-related companies, and now, of course, at coffee shops around the world, founders are trying to figure out how to graft a cryptocurrency onto an existing business model and launch an ICO. Of course, after you raise the money, you got to grow the business, and that’s always hard, but it’s even harder when you are competing against 100 other funded startups with the same business model, no. Long-term, the companies that went out are either those who are doing something no one has thought of before or those doing something so boring that everyone has thought of it but they are doing it in a way that puts them out in front. Today, I’d like to introduce you to one of those companies. 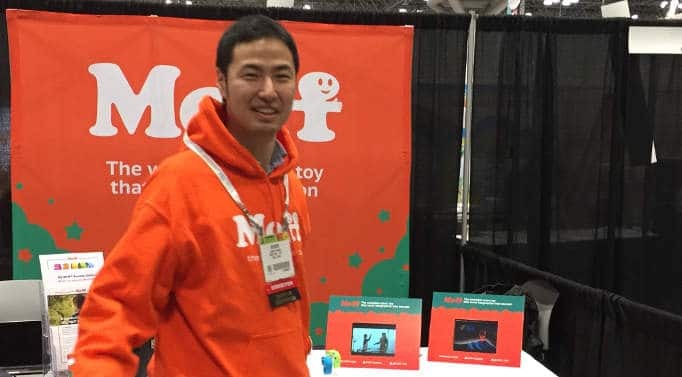 Yu Taniguchi is CEO of Vesper, the creator of Table Solution. It’s a SaaS service similar to OpenTable in that it helps restaurant owners manage their reservations better and better understand their customers. You might not have heard of them yet but you will. They have thousands of paying customers, including some global chains, they are profitable, and they are beginning to expand globally. The business model itself is interesting and you also have some great advice and some counter-intuitive insights about selling to mid-sized companies and the dubious value of the freemium model in general. But you know, Yu tells that story much better than I can, so let’s get right to the interview. 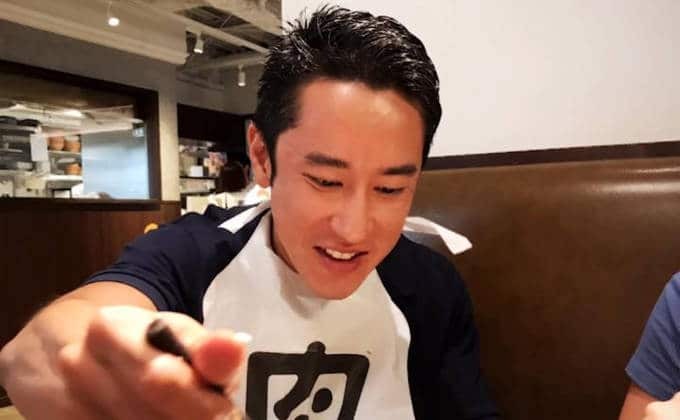 Tim: So I’m sitting here with Yu Taniguchi, the founder and CEO of Vesper, makers of Table Solution in the online restaurant management platform. So thanks for sitting down with me. Tim: Table Solution is in a super competitive space so let’s talk a bit about what it is. Yu: Super competitive, a lot of people think that Table Solution’s competitors are companies such as GuroNavi, Tebelog, OpenTable. That’s totally different, actually. The current situation is that restaurants accept reservations from various sources such as phone reservations, reservations from Tebelog, they have to manage all these reservations. It’s usually done by a notebook, paper and pencil, so our competitors, direct competitors are paper and pencil. In that regard, OpenTable is actually our competitor. They not only provide media for the consumers but also, they provide reservation and customer management system which would be used by the restaurants. Tim: Right, so your model is similar to that, right? I mean, you are providing a customer CRM solution or reservation solution, a general table and guest management solution for restaurants, right? Yu: Yes, so the difference between OpenTable’s business model and our business model is OpenTable charges cover fees which means that every time a customer makes reservations using OpenTable website, the restaurants have to pay a fee to OpenTable whereas we charge nothing, so the restaurants would usually link to our reservation page from their website, from their Facebook page, from their Instagram account instead of linking it to OpenTable. Tim: Right, and you charge a flat monthly fee of like, 12,000 to 30,000 Yen depending on the size, right? Tim: And you don’t have like a free tier, right? All your customers are paying customers? Tim: I really like that business model. 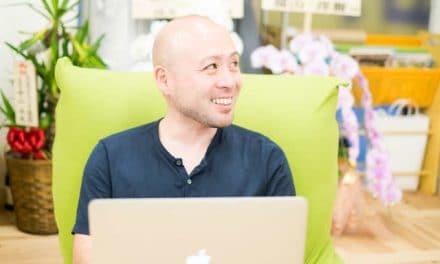 There’s a certainty to it and I’m interested in your opinion on this because I think in B2B sales, it’s just as hard to get a customer to switch to a free product as it is to get them to switch to a product that costs 10,000 Yen a month, I mean, because they have to invest – it’s not the 10,000 Yen a month – I mean, they’ve got to retrain staff, they have got to spend a lot of their time. Has that happened in your experience or did you experiment with like a free tier in the beginning? Yu: That’s a good question, actually. We did think of various scenarios such as charging advertisement fees to companies who want to approach the restaurants and provide our solution completely free to the restaurants, but instead, every time they log in, they have to see an advertisement. Well, our conclusion was that we interviewed 300 restaurants prior to releasing our product and they all said they would be willing to pay roughly $100 a month if their operations become smooth, if their operations become automated, so we decided that it’s better to start charging the restaurants rather than going for a freemium model which usually, the conversion rate is really low. Well, to be honest, we didn’t have so much cash in our bank account, so we wanted to charge the customers. Tim: You are also offering CRM solutions to the restaurant. Is it mostly simply retaining and organizing information about the guests or do you offer services, like connections to social media, more marketing-focused features as well? Yu: Right now, we are still providing a very fundamental CRM which is, you can see how many times the guests have visited your restaurants or your chains or what their allergies are, what their likes and dislikes are, etc., or customers who have spent more than x amount of money in their history. In the future, we do plan to enhance the CRM feature and we want to help the restaurants’ marketing or even suggest a better marketing resource distribution. The restaurants currently don’t know how much the customer’s spending, how many times they are repeating, what their lifetime value is. Tim: Right, a couple of years ago, during the Groupon phenomenon, it took restaurants a while to realize that the customers they were bringing in weren’t providing long-term value. Yu: Well, exactly, yes. I mean, Groupon model is not working. Tim: No, no, but it took them a while to figure it out. Yu: It’s a steep discount. It’s a bargain hunter’s – more than just gathering the bargain hunters, I wanted to help the restaurants convert the customers into repeat customers. Of course, it’s a very good way to advertise restaurants. Prior to that, it was almost impossible for restaurants to advertise on any other media, but on the internet, it’s free and you can access millions of consumers. So that was innovative, and also, the other thing that shocked me was that people were paying upfront for restaurants for dinners. This never happened prior to Groupon. Tim: On kind of the Groupon and daily deals business model, do you think that it can be saved or is it just fundamentally flawed? Yu: It can be enhanced. You can access the consumers, this is a very beneficial thing for the restaurants, but what’s lacking, what’s completely missing is that there is no technology to convert these customers into repeat customers, so the system is completely for users who are looking for steep discounts, so if you could change this value proposition. Tim: So capture information about the user, reach out to them directly in the future, things like that, rather than just relying on other next steep discount? Yu: If you say the Groupon business model is based on the premises that value proposition be a steep discount, in that sense, it’s completely not working. Tim: Okay, tell me about your customers. So how many restaurants are you guys serving now? Yu: We serve 2,000 restaurants right now including global hotel chains like Hilton, InterContinental, Hyatt, also Michelin 3-star Sushis and Michelin 2-star French restaurants. Tim: So with 2,000-plus customers, are they all using Table Solution for their table management and guest management, or have you also integrated with existing systems? Yu: Yes, all the restaurants are using our service as restaurant and table management system, and sometimes, we do integrate with other existing systems that restaurants are using, such as POS, Point of Sales system, but not too deeply because we are essentially, replacing paper and pencil. Tim: You have a number of chains as your customer: Okura, Hilton, so are these chains all standardized on your platform or are they pilot projects? Yu: In terms of InterContinental, their parent company is IHG group, so all IHG-managed properties in Japan are using Table Solution, it’s not a pilot project, but for overseas, we are still in a pilot phase in some countries, but all IHG-managed properties in Japan are using our system, and for overseas, Thailand, Vietnam, etc., some properties of IHG are using our system. Tim: That’s fantastic. You so often hear of companies in the US using that playbook: getting the US properties and then doing the global standardization. It’s nice to see Japanese startups doing the same thing. Yu: Yes, it’s one of my ambitious goals. I want the company to be listed on the MBA textbook. Tim: You want Harvard Business Review writing a case about this. Yu: It’s rare, right? Yes. Tim: You are well on your way, I think. Yu: No Japanese internet service has conquered the World Market. Tim: I want to get your opinion on online reviews in Japan, particularly restaurant reviews. So I noticed, in fact, just yesterday, the top-ranked London restaurant on TripAdvisor was some social media marketer’s garden shed. In the US and Europe, there’s a lot of kind of review fraud. Does the same problem exists in Japan? Can you trust online reviews here? Yu: There’s the same problem in Japan, yes. There are companies who approach the restaurants saying, “We can provide you 10 good reviews for $5,000.” There has been many disputes and many news about how Tebelog is not trustful and things like that. I still think that it is worth having all those online reviews because you can see that clearly, some users are true users, but the number of the fraudulent reviews only increases, especially for new opening restaurants because they rely on those companies to just to boost their opening period. So Tebelog and all those reviews are qualitative but what we could do in the future is that we can, based on a very quantitative data, we could provide like, how many customers are actually repeating to that restaurant and you can rank that restaurants by like, what the ratio of repeat customers are, etc. Tim: Actually, let’s dig into that for a moment because I think you guys have got access to some truly interesting and valuable data. It’s easy for you to spot trends in terms of both location and what types of Cuisine are getting popular, by like age group and gender, and all kinds of psychographic profiles. Is that something you are working on now? Yu: Actually, we are working on a data analyzing project. We internally call that Nexus Project. It’s a big part of our business model, actually. We want to provide new value propositions from the data we gather, both from customers and restaurants. Tim: So how will that work? Yu: So for instance, we gather POS data. For instance, I love spaghetti bolognese, spaghetti meat sauce, but it’s really hard to find a very good restaurant with very good spaghetti meat sauce, because if you go to Tebelog, you can see the very top-ranking Italian restaurants but you don’t even know whether they provide spaghetti meat sauce or not, but if we have Point of Sales data, we can rank the restaurants by highest ratio of repeat customers ordering spaghetti meat sauce which is clearly, that restaurant has very good spaghetti meat sauce. Tim: Yes, but could you also kind of do it from the other side and say, sell the information to all the Italian restaurants saying, “Hey, over the last three months, women in their twenties are all ordering cream-based pastas and not tomato based pastas, so you might want to adjust your menus,” or something like that. Yu: Yes, that’s exactly what we are planning to do, whether the analysis is for the consumers or whether the analysis is for restaurants. I was talking about that example I talked about, is if it was a consumer-facing value proposition, that would be one example, and the other example you just mentioned is a merchant/restaurant-facing value proposition. Tim: Non-chain restaurants tend to be a very conservative industry. Is there interest in that kind of data among privately-owned restaurants? Yu: Yes, no one is providing that service, so. Well, it’s pretty obvious that restaurants talk to each other, they observe each other, they even set the pricing similar to each other. So for instance, the high-quality sushi restaurants in Tokyo these days cost about $300 per person. This has been very different a few years ago. The fish price is not changing so much. What they’re doing is that one sushi place experiments higher price and if they succeed, all the other sushi will follow. Tim: The price has been going up recently. Yu: It is going up, yes. Tim: Okay. Does that just track the economy – when economic times are good, the expensive sushi booms, and when it’s bad, it’s the inexpensive kaiten zushi? Yu: I think it reflects the number of choices in Japan. Tim: Okay. Actually, one thing that is unique about your system, even on the portal site is that it is truly bilingual, multilingual. Do you have a significant part of your business that is coming from tourism, that is coming from visitors to Japan? Yu: Yes, roughly 20% of our users making reservations are foreigners. Yu: Well, because our system is the only system that supports 15 different languages. Table Solution is the only choice. Tim: Okay, well, that’s a good reason. Yu: Also, sushi places that are popular sushi places, they usually accept – about 50% of the customers are foreigners, tourists. Tim: Really? And is it mostly Chinese tourism, US, all over the place? Tim: A number of people have told me that one of the biggest motivations of tourists who come to Japan is the food, so I guess we shouldn’t be surprised that everyone’s going out and eating expensive sushi. In another interview you gave, oh, maybe it was over a year ago, you mentioned that your customer turns so far have been basically zero, that unless restaurants have gone out of business, they were sticking with you. Is that still the case? Yu: So for recent, last 6 months, on average, the turn rate, the cancellation rate is 0.2%, so 99.8% of the restaurants continue to use our service. Tim: That’s great, that’s fantastic numbers, although, is that – because you mentioned before that your major competition was paper and pencil, so is that number pretty similar industry-wide? Are your customers coming to you from your competitors or are they coming to you from paper and pencil, still? Yu: That’s a good question, actually. Roughly 65% of the new contracts, applications, come from our competitors, either Toreta or Ebisol. 35%, they are restaurants who are switching from paper and pencil to table solution. Tim: That makes sense, I guess. That number is only going to drop in the future as more and more restaurant owners, at least want to try some Saas-based solution for this. Yu: Yes, I think from the restaurants switching from paper and pencil is on a slight decrease. Tim: Now, a few years ago, you also launched product called Beauty Solution and you made the decision to shut it down. So what was your thought process around that? Yu: So very initially, even before releasing our product, I was assuming that we can leverage the source code of Table Solution for beauty industries, or lessons or events, doctors, hospitals, etc., but the reality is that when we released Beauty Solution, there was two problems: one was that we had only a very limited resource, development resource, and we were receiving so many requests from existing users, both from restaurants and beauty industry, and we have to allocate our resourcing to either. The other problem was that in terms of media, there is only one big player. Hot Pepper Beauty is dominant in the industry. If a hair salon is using Hot Pepper Beauty, they get, on average, they get about 60% of the customers from Hot Pepper Beauty. Tim: So there wasn’t as much demand in the beauty sector as there was in restaurants? Tim: Yes, I can see it being really hard to convince them to change, but in terms of sort of the classic business strategy, it is to perfect your solution in one vertical, and then move sideways into another, and things like beauty salons, it seems like a natural fit from the high-level, right? So is that something you might consider in the future again? I mean, not beauty salons, but another adjacent market or do you plan on just focusing on restaurants? Yu: We plan to focus in the restaurant industry. One of the reasons is that the restaurants are still demanding many new features and we don’t want to go into that in the beauty industry again because they’re going to have millions of requests. Tim: That’s interesting. So do you think that sort of classic VC advice is wrong? Is it better just to focus on a narrow set of customers and just do everything you can to make them happy? Yu: So our customers are willing to pay 12,000 to 20,000 Yen per month because it suits their business model. If it was something that is more simple, for instance, let’s say Google Calendar, it wouldn’t fit in their business model but it might be good enough to manage the reservations, but they wouldn’t be willing to pay a lot. Unless we have unlimited resource, development resource, all the products for different industries are going to be good enough, but we want to increase the average revenue per user to maintain the probability, so in case of that VC model, VC advice, that’s something good for maybe 100 million-dollar company, maybe have, I don’t know, 100 engineers and make products for each industry. In our case, we have a very limited development resource and also, the restaurant industry itself is big enough. OpenTable, their valuation was something like $3 billion when they were bought out by Priceline. So I think the market is big enough and also, the other aspect would be that I love eating, I love restaurants, but when I interviewed hair salons, I’m not so motivated. Tim: Okay, you’ve got to love your customers. Yu: I’ve got a lot of passion in the restaurant industry but when I visited hair salons, it doesn’t strike me. Tim: Okay, fair enough. Now, that customization that is required within – I don’t know, I don’t think we can call restaurants a niche because like you said, it’s so big but you recently started expanding overseas. You’ve opened an office in Korea, so are you finding those kinds of pressures as you move internationally where you are getting a lot of requirements and demands to change your product for the Korean market or the Thai market, or the Singapore market, or the needs are pretty Universal? Yu: It’s pretty Universal. There are requests, customization requests, but they are all minor. We provide Facebook or Google+ login for consumers on their reservations. For instance, in Korea, they would request for Naver login. Tim: Well, that makes sense. I do expect you’d also have to do different integrations with Point of Sales systems just because the markets are different, but those are little things at the edges. Excellent. Any plans on moving into the US or European markets, or you’re pretty focused on Asia in the midterm? Yu: In the mid-term, yes, midterm, we focus on the Asian markets, Southeast Asia and also Middle East. We already have clients using our service in Abu Dhabi and Egypt, and Dubai. Tim: Okay, and then if you can leverage relationships with the big change to move into the US or Europe, that would just be ideal? Yu: Exactly, that’s what we are planning to do, although US market has been dominated by OpenTable. It’s a more competitive market. Tim: It’s a more mature one. There’s going to be very few restaurants still using paper and pencil. Yu: Exactly. 13 years ago, when I visited San Francisco for a business, I called a popular restaurant and I said, “I want to make a reservation,” and the restaurant staff said like, “Oh, you can make a reservation online,” and he just hung up. Tim: Yes, that’s American customer service for you. Yu: I was shocked, that was 13 years ago. That would never happen in Japan. Tim: Well, for two reasons. I mean, one is, no staff would ever treat a customer that way, and second, yes, there’s no way they’d have online reservations 13 years ago. Yu: Exactly, but actually, our system now has a phone integration system where when the restaurant receives a phone call, it will show who’s the caller, and we have a button which the restaurant can send a short message with the link to the reservation page. Yu: Why is there such a button? Because some beer gardens are so busy. When they receive phone calls and when the customer says, “I want to make a reservation,” they will say, “I will send you the link right now,” which shocked me 13 years ago. We are providing that means to the restaurants right now. Tim: So if you’re going to be focusing on that restaurant sector, you’re going to stay in that vertical, have you thought about going deeper into the vertical? So for example, providing services dealing with procurement and their inventory management, and things like that. Yu: Yes, exactly. That’s what we plan to do in the next couple of years. So marketing automation, Big Data analysis, if I use a word that is trendy, and like AI management of restaurants. Tim: Okay. Let’s talk a bit about Japan in general. A lot of startups that are focused in kind of the B2B market, there is a real split in selling to the enterprise and selling two small and mid-sized companies, and you guys have been doing both. You are selling to large restaurant chains and you are selling to little mom-and-pop shops on the corner. How are the two markets different? Do you have different sales teams, different marketing approaches? Yu: Yes, they are very different. So for in terms of approaching to Hilton, Hyatt, Intercontinental versus approaching to mom-and-pop shop, it’s totally different. Internally, our sales team are sort of split between hotel sales versus city restaurant sales. Tim: What advice would you give to B2B startup founders? Should they focus on the big enterprise deals as early as quickly as possible or is it better to kind of build up a reputation in the small businesses first? Tim: Then they have to do enterprise. Well, do you find that enterprise customers are more demanding? Are they asking for a bigger changes or more features, or is that kind of the same regardless of the size of the customer? Yu: In terms of Japanese restaurants, they are as demanding as enterprise. Tim: So they make you work just as hard? Tim: Okay. Hey, listen, before we wrap up, I’m going to ask you what I call my Magic Wand question, and that is, if I gave you a magic wand and I said you could change one thing about Japan, anything at all – the education system, the legal system, the way people think about taking risks – anything at all to make it better for startups in Japan, what would you change? Yu: Well, the first one is education. Tim: Yes? What would you change about it? Yu: Well, be more flexible. I grew up in Singapore and I still remember in history class, there was one semester where we watched documentaries of John F. Kennedy. At the end of the semester, we had to come up with a report saying what’s the true story behind the John F. Kennedy assassination, and you have to come up with evidence; you have to persuade the class. Tim: Right, so it’s not just about coming up with the right answer. Yu: Numbers, yes. In Japan, history class is basically just being taught years and dates, and the names. You don’t think about anything. Tim: That’s interesting. I mean, I’ve heard that the Singapore education system is also very strict and rigid, but Japan is worse. Yu: Oh, sorry, I attended an international school. Tim: Oh, okay. A lot of startup founders talk about the education system and how important it is to make it more flexible, but perhaps, as a foreigner looking at Japan, I totally agree that the education system is inflexible, but I think it’s more a reflection on the way society is structured. I think most companies and most people are thinking that way. They are looking for the one right answer and education is just a reflection of that. Do you think that people kind of grow out of that rigid training as they get older? Yu: That was shocking to me. Yu: So naturally, people do have different opinions and different ideas but you are taught, you are educated that there’s only one right answer. You are forced into that. Tim: You are trained to keep your ideas to yourself. Tim: Well, now that you are on the other side of that and you are looking for employees, how do you find people that have untrained themselves or do you try to untrain people once they come on board? Yu: You try to hire weird people. So if I look at the resume and if that person has only worked for a single company, I wouldn’t hire that person because I can clearly see that he’s trained into one way of thinking by that company. Tim: Right, right. So you are actually looking for people who might have tried something and failed or maybe used to be an actor or a musician, or something radically different? Tim: One of the wonderful things about working with the startup community in Japan is that there are so many people like that, and that it is so open and welcoming to different and strange people. Do you think the attitude is changing outside the startup community? Do you think that larger companies or mid-sized companies are being a little more tolerant of eccentric people or people with different backgrounds? Yu: I think so, yes. Now, the government is insisting that companies to allow side jobs. That’s one good change in the Japanese culture. Tim: Yes, I think so, and I think that most startups are born out of side projects, so I think that’s going to be a good thing. Well, listen, Yu, thanks so much for sitting down with me. I really appreciate it. Yu: Thank you so much. I enjoyed it. Wow. Yu’s advice of focusing on a single market is a good one and it runs counter toward what a lot of founders and VCs recommend. Sure, the technology behind Table Solution is very, very applicable to the salon market but in most cases, technology has very little to do with your competitive advantage. Those of us coming from engineering backgrounds in particular tend to forget this and we overvalue our technical contributions. In most cases, however, it’s not about your technology. It’s about your understanding of your customers, and although the same technology can often be applied to different markets, the actual customers will have very different needs. With this in mind, Yu’s strategy of deeper and deeper integration into the restaurant owners’ workflow makes a lot of sense, particularly since that market tends to be low-margin. It will be hard and expensive for competitors to develop Table Solution’s level of domain expertise and customer reach. Our discussion of the freemium model in B2B was also interesting, and the more I think about it, the less appropriate a freemium strategy seems to be when selling to businesses. In most cases, the costs of the business changing their workflow and retraining staff will be higher than the cost of your product, so you might as well make the sale. Now, there are two notable exceptions I see to this: first, if you are running a Shadow IT strategy where you hope that individual employees will adopt your product for free, and then you can share a corporate package after enough employees have started using it, freemium makes sense. Companies like Dropbox and GitHub have used this strategy effectively. The other exception would be when your SaaS product is being used only by one person in the organization. That way, no retraining is required and that one individual might be motivated to try your product to make their own jobs easier. The SaaS companies focused on startups and mid-sized invoicing and HR fall into this category. In the end, of course, it’s not how many people use your product; it’s how many and how much people pay for your product. Another thing I like about Vesper is they are trying to flip the American startup Playbook. 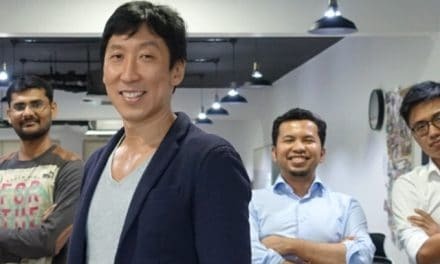 They are not selling to global headquarters but are gaining in-roads in Asian markets where most travel is international and multilingual, and with more and more regional successes, they can work their way up to hierarchy to becoming a global standard. In a way, it’s kind of the enterprise version of the Shadow IT strategy, and it would be great to see another Japanese startup making a truly global impact. If you’ve got a story about travel or restaurants not getting your reservations right, Yu and I would love to hear from you, so come by disruptingjapan.com/show110 and tell us about it, and when you come to this site, you will see all the links and notes that Yu and I talked about and much much more in the resources section of the post. And by the way, feel free to get in touch and connect with Disrupting Japan on Twitter and Facebook, or even drop by our LinkedIn group. A quick search for Disrupting Japan on any of those platforms or Google, for that matter, will take you right to us. I’d love to hear from you and we have a lot more information about Japan and Japanese startups on the social sites and our website as well. But most of all, thanks for listening, and thank you for letting people interested in Japanese startups know about the show. Hello Tim, I have listened to every podcast since I arrived in Japan last year. I am planning on starting a company in Japan. I would like to send emails to businesses explaining my service and gauging interest and feedback from companies I want to do business with. Since I haven’t started a company yet what is the best way to approach companies? Should I explain I do not have a company yet and I am in the process of starting one or any advice. Thank you so much! Keep up the good work. Thanks for listening. I’m glad you enjoy the show. It’s not hard to approach potential users in Japan if you do it right. A lot of people send out surveys, but this is almost always the wrong way to do it. Make a personal connection. Either get an introduction, reach out to someone on LinkedIn or meet someone at a trade show. If you then contact someone saying you are thinking of launching a product to solve problem X and you are interested in their feedback because they are an expert in Y, most people are quite willing to give you a few minutes of their time.